One of the key scientific challenges is the puzzle of human cooperation. Why do people cooperate? Why do people help strangers, even sometimes at a major cost to themselves? Why do people want to punish others who violate norms and undermine collective interests? 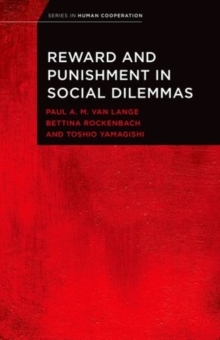 Reward and punishment is a classic theme in research on social dilemmas. More recently, it has received considerable attention from scientists working in various disciplines such as economics, neuroscience, and psychology. 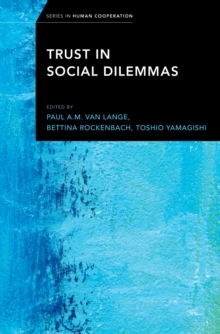 We know now that reward and punishment can promote cooperation in so-called public good dilemmas, where people need to decide how much from their personal resources to contribute to the public good. Clearly, enjoying the contributions of others while not contributing istempting. Punishment (and reward) are effective in reducing free-riding. Yet the recent explosion of research has also triggered many questions. For example, who can reward and punish most effectively? Is punishment effective in any culture? What are the emotions that accompany reward and punishment? Evenif reward and punishment are effective, are they also efficient - knowing that rewards and punishment are costly to administer? How can sanctioning systems best organized to be reduce free-riding? 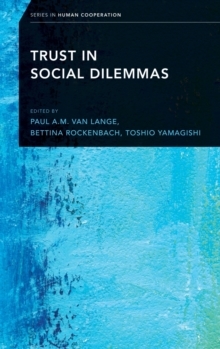 The chapters in this book, the first in a series on human cooperation, explore the workings of reward and punishment, how they should be organized, and their functions in society, thereby providing a synthesis of the psychology, economics, and neuroscience of human cooperation.